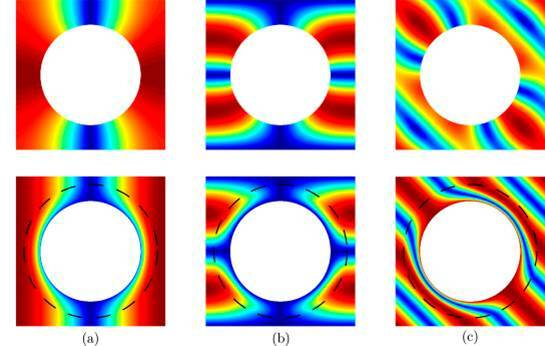 My EPSRC Fellowship runs from 1st July 2014 until 30th June 2019 and is focused on various aspects of the mathematical modelling of materials, wave propagation in complex materials and associated experiments. This large-scale project is arranged in a hub and spoke arrangement. Within the hub, new mathematics and models are being developed, with applications in the areas of tunable phononic crystals, metamaterials, industrial composites and soft tissue modelling. Below various projects are listed that I am focusing on within the fellowship. Click on each to get more information about these individual projects. This site is currently being updated with many of the results from the first two years of the fellowship. The aim of the NEMESIS is to develop a number of methods and techniques in the "hub" that can be applicable in many of the application areas described below. Most of the methods and models developed in the hub are associated with general wave propagation or materials modelling. This is a significant strength of the project, and applied mathematics in general, i.e. that methods developed in one area can be used in another, seemingly very different field. As good examples, the models of nonlinear viscoelastic materials developed in the project will be applicable in both the soft tissue and industrial composites scenarios and homogenization methods will be useful in all areas of the project. Read more about this project by clicking the title above or here. This project focuses on understanding and developing mathematical techniques associated with the modelling of phononic crystals, parts of which are "soft" or "compliant". This property generally leads to some aspect of the material behaviour being "tuned" which is normally a useful aspect for applications. I am also studying what I have termed "invariant" compliant materials, where some property remains fixed even after large deformation. This is an unusual phenomenon but could be extremely useful in practice.